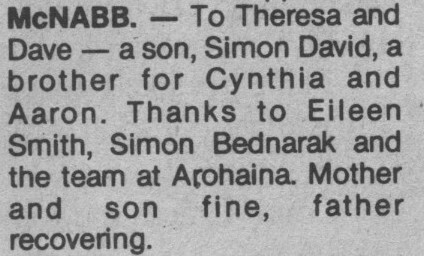 To Theresa and Dave – a son, Simon David, a brother for Cynthia and Aaron. Thanks to Eileen Smith, Simon Bednarak and the team at Arohaina. Mother and son fine, father recovering.